It might seem a little farfetched but I’ve been doing it for years and so can you. 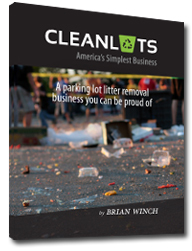 My name is Brian Winch, creator of Cleanlots. 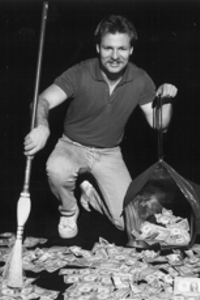 I’ve been operating a parking lot clean up business since 1981. Articles have been written about my business in various publications such as Home Business magazine. Check out the others in my press page or read my testimonials. As they say, proof is in the pudding, and I`ve got lots of proof! Brian Winch (2013): Over 30 years in a successful business. My prospects were slim as all I had was a high school diploma and a small savings account. But what I had was the motivation to change my life for the better and a willingness to work for myself. That’s when I remembered my father used to make extra money on the side by cleaning up litter in a neighborhood shopping plaza. I’d gone along with him a few times as a kid and I remembered thinking how easy it was. It was literally a case of us walking around the property cleaning up litter before the stores opened the next day and getting paid for it. It was then that I decided to start a home-based litter cleanup business part-time so the work didn’t interfere with my full-time job. I contacted property management companies and offered to clean their retail, office and warehouse properties on a daily basis. I turned my $200 investment into a $650,000+ per year business. 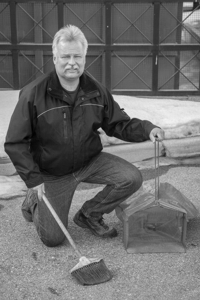 I never dreamed I could turn a litter cleanup business into such an enjoyable lifestyle, but I did. Why I Created This Simple, Low Cost, Home Based Business Opportunity. Now over 35 years later, I’m nearing retirement. I’ve had a great life and I want people like you to do what I did, which is to succeed in this business. That’s why I created Cleanlots. I want you to achieve freedom and control over your life and income. I want to empower you to create your dream lifestyle. If you’re motivated to change your life, Cleanlots might be a great fit. With the purchase of my book, Cleanlots, you’ll also receive access to FREE email and telephone support directly from me. This is possibly the easiest, most honest and least expensive way for you to start your own home based business to take control of your future. Here’s to you, taking control over your life!